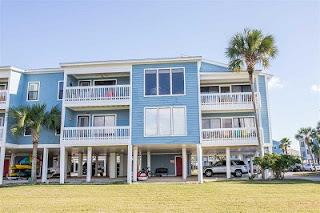 Gulf Shores condo for sale at Sea Oats. You can have it all, very quiet setting in this lovely 2BR/2BA furnished unit overlooking the pool! Sea Oats on West Beach Blvd. is the most wonderful community! With 50 ft beach access and 700 ft on little lagoon, a boater's dream which includes boat trailer storage, boat dock, private boat launch all one property! 2 swimming pools + 2 kiddie pools!!! Vacant and easy to show!